Everything about this week was hilarious so I would like to start this post by listing some of them. 1. I asked an investigator, "Saan ka nakatira?" This means, "Where are you from?" The investigator said, "What?" I repeated myself a couple of times until they said, "Oh, you mean "Saan ka nakatira?" 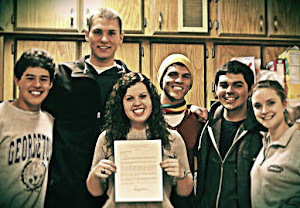 And I said yes, I have been on my mission for sixteen months. I know how to ask where you are from. Well the truth is that I did not and it took me this far into my mission to realize that I had been stressing the "ka" and not the "ra" in "nakatira." For the last sixteen months I have been asking people where they are getting high, not where they are from. 2. After we were done proselyting one night, we decided to try a bakery that everyone is always talking about that has buy-1 get-1 bread after 6 pm. We took a tricy and went inside. We soon realized that we had left our personal money at home and had very little to spend on bread and get home, too. When we looked at the prices of the bread we realized it was way more expensive than we expected and that it was going to be tight with the little money we had. In the end, we bought bread, got one free, and walked a very long way home. I think it took us an hour. We will try to exercise better financial planning this week. 3. In our area is a very big bridge connecting downtown Laoag and the rest of Laoag. We have an investigator assigned to us just over the bridge. One night while we were in downtown we had no one to teach. No one was home so we decided to cross the bridge. It was night and raining and the bridge is a little long and a little dangerous, but because we are poor missionaries, we decided to walk the bridge. When we got on the bridge, we decided how ridiculous the decision was and tried to cover ourselves with our umbrellas so no one would recognize us. Well, we are maybe about 5 meters onto the bridge and a tricy pulls over, a woman steps out and says, "I'm a member of your church. Get in!" We tried to reason with her and say, "Oh, we are just going over there. We can walk." She said, "What are you thinking? Get in." So we got a free ride over the bridge. Thank you Rivera family. It was about this city that was perfectly perfect. They were all so good except for this one man; he was out to destroy these people. The two things that could destroy these people were chocolate cake and the color red. Obviously the people weren't going to just go out and eat chocolate cake and wear the color red, so the man devised a plan to get into the hearts of the people. He started by making chocolate chip cookies with just a little bit of chocolate. The people loved the cookies although they were nervous about chocolate. They reasoned however that it was a far cry from chocolate cake. Eventually however, it was extra chocolate chip cookies and then he introduced a move about chocolate to the media. At this point the people were exposed to chocolate at every point. The man soon introduced cake. But not chocolate cake - every flavor of cake BUT chocolate, but ALL were topped with chocolate frosting. Then one day the people in the town began to eat chocolate cake, not even realizing the consequences soon to come. "Have you seen the new movie?" the townspeople soon started I say. "No, but I don't want to see another movie with chocolate in it." "Oh this movie has no chocolate, it's all about the color pink." Not before long, the people were destroyed and the city fell. We should never let ourselves justify anything close to sin or reason that we are "good enough." Satan will take those opportunities and destroy us. The problem is we may be oblivious to the personal destruction we are encountering because of the sneaky ways of Satan. We must be alert and never fall for anything. Going back to the start....love, Coldplay. Saying goodbye in Aparri was a lot harder than I expected. I loved Aparri and when you are in the work of saving souls, it is hard to leave them and move far away. It is okay now though because working with Sister Pututau is pretty sweet. We have been friends since the MTC so moving into the new apartment in Laoag was like moving back home. The area we have to work in is absolutely crazy. We are in the biggest city in the area and our area is centro - full of stores and not full of people. All the missionaries know about this area because there is never much progress, but Sister Pututau and I have gotten down and dirty in the work. Working in the most commercialized part of your third-world mission does come with benefits...like McDonald's and meeting some really interesting people. The most interesting person we met this week was Jose/Pepito/Joe. He goes by three names, so choose the one you like the most. We are mostly all Americans here at the blog, so we will use "Joe." Joe is a grandpa and is about 60 years old. He is rich and owns a high-end souvenir shop. He is a genius and talked to us all about how the local dialect has roots in Pacific Island nations. He knows everything about the gospel, Joseph Smith, and our beliefs. He also knows it is true. "Of course, Sisters, I didn't learn that it was true. The Lord told me that it is true." Well, Joe, why are you not baptized? Even though Joe has received a spiritual witness of the truth of our message, he is stuck in his old ways. He is a member of a church established here even before the Catholic church because he believes that it is the most correct. Too bad he does not yet understand that we do not have to settle for the "most correct" because we can have access to the entire and complete truth. He is still suffering in a personal apostasy, like the Great Apostasy, a period of time after the death of Jesus Christ. How do the Dark Ages (Great Apostasy) relate to Mormonism? Joe knows the truth. He just doesn't know that he has to make changes to his life to become even more enlightened by the gospel. We will help him on his gospel journey. P.S. The time is running out to send me fan mail! Just do it! Anna mittin? Ano ba yan? What the heck? Well, my time in Aparri has come to a close and this week I will be transferring to the last area of my mission. I have been called to serve as a Sister Training Leader...it is like a Zone Leader for those of you who have served a mission in the past. I am grateful to be called to serve the Lord in an additional capacity. 1. I got a bad sunburn. All the Pinoys kept saying that I was blushing. "Oh, Sister Copeland, you are even blushing on your arms!" Sorry, Filipinos, I was not blushing...it was a sunburn. 2. We asked our less-active member how his daily scripture study was. He said, "Great!" Then he told us that he just got finished reading "The Spirit of God," a favorite song of his from the hymn book. We told him that although it is great to read the hymn book, he needs to also read from the Book of Mormon each day. 3. We have been eating a lot of swordfish. It is my favorite. 4. We spent time this week locating some old investigators of the missionaries who served in our area in the past. We found the Rabor family this week who gladly let us in to speak and share. They were very open in explaining that although they had a desire to be baptized into the Church of Jesus Christ of Latter-day Saints, they decided not to be. Their reason? They could not understand the missionaries. They didn't speak their language, Illocano. I am grateful for spiritual gifts, especially the ability to communicate in the local dialect. The Rabor family has another chance to hear and understand the fullness of the gospel. This does not mean they will be baptized tomorrow, but at least they can partake of the blessings of knowledge of God's plan for them. I am grateful that the Lord blesses His servants in different ways so that they can reach the people He has prepared. I love you all! Ayo Ayo.